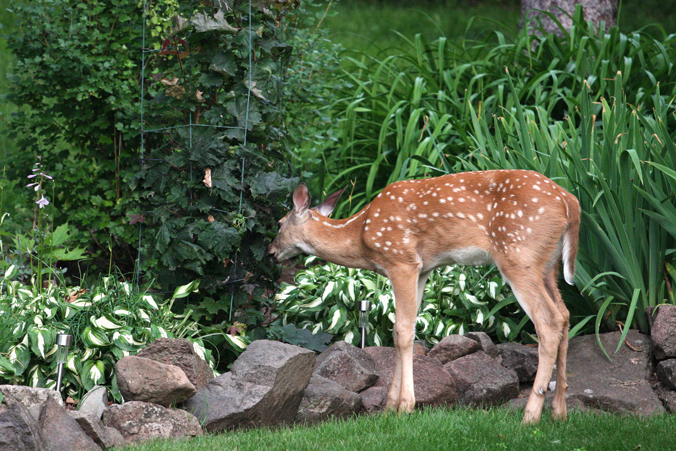 I have written about it many times before, but we have a bit of a deer problem. 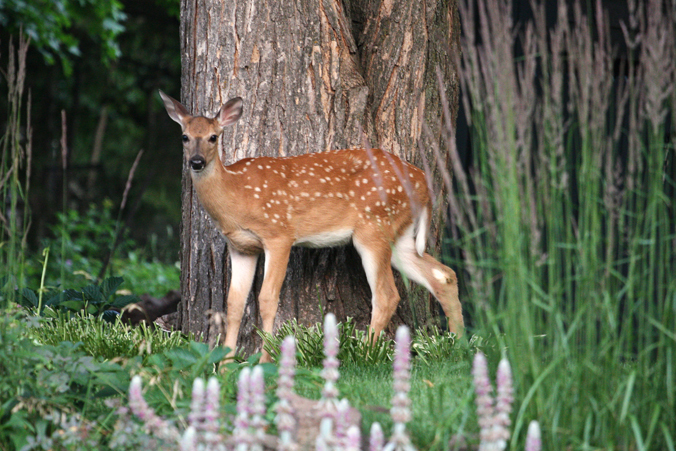 They like to eat our hostas, young maple trees, apple trees, arborvitae, lilies, tulips…pretty much everything in our yard and garden. The problem has become larger over the years. Unfortunately, the problem has multiplied by two this year. We have seen this pair of fawns in our neighborhood several times over the past few weeks. Now they seem to think our yard has the best salad bar. 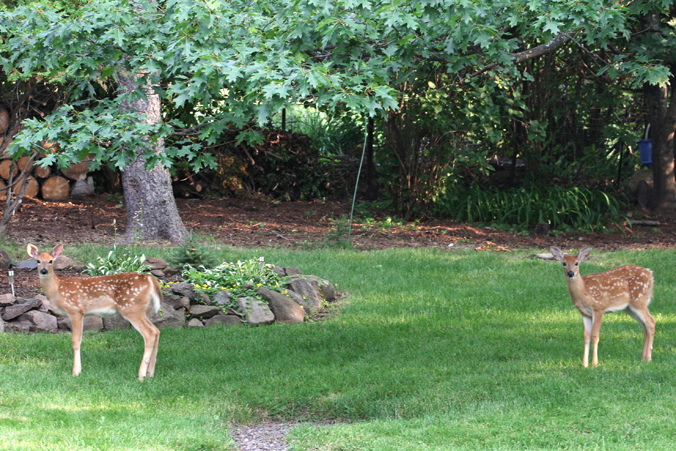 The fawns visited us on Tuesday and were back again this morning for breakfast at 6:00 a.m. with their mom. Oh deer! !